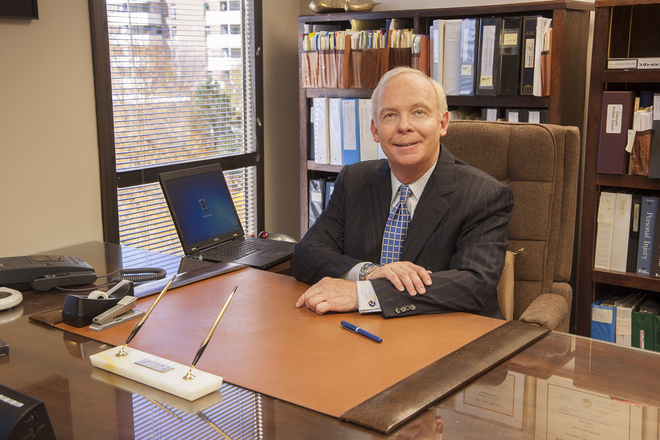 The Denver wills lawyer at Donald Glenn Peterson Attorney at Law has extensive experience helping clients develop wills that protect their assets, beneficiaries and final wishes. Your minor children (if you have any) are cared for by the guardians of your choosing. The individual of your choice is appointed to manage your will, estate and other assets and to ensure that your final wishes as stipulated in your will are carried out. Your beneficiaries are not forced to go through the expensive, complicated probate process (which can happen if you pass on without a will in place or if the will is contested because, for example, it was not properly drafted). Your estate is not excessively taxed, which could diminish any assets left to your loved ones. All of your final wishes are ultimately followed. Representing our clients in mediation, arbitration or probate litigation in the event a will is disputed in the future. If you are ready to start developing a comprehensive will that will give your family the legal authority and moral support to carry out your wishes in the future, the Denver wills lawyer at Donald Glenn Peterson Attorney at Law is here to help you at every step of the process. Regardless of whether you have a small or large estate, our full-service law firm can develop, draft and thoroughly review an effective will that will help your beneficiaries avoid having to deal with lengthy and contentious probate proceedings, expensive estate taxes and other emotional and financial headaches down the line. For more information regarding our services, as well as professional legal advice regarding the best manner in which to move forward with your will drafting needs, contact the experienced and trusted Denver wills lawyer at Donald Glenn Peterson Attorney at Law by emailing us or calling (303) 758-0999.